There’s nothing worse than starting a home improvement project and discovering midway through that you’re missing a part or a specific tool. It’s incredibly frustrating to have to go back to the store and buy what you’re missing so you can finish the job. Now, imagine owning a business and confronting this challenge daily—just on a much larger scale. Inventory is one of the most critical aspects of a manufacturing business, and having a good way to manage it across your organization is key. However, many organizations use fractured processes to get the job done, and the business implications are severe. When inventory levels are off, work is interrupted and often delayed, data insight is limited, and job costs increase. Let’s take a look at how inventory is typically managed in manufacturing organizations. Manufacturers must ensure they stock the supplies they need for production, as well as the materials and spare parts for when machines require repair—all without breaking the bank. This means that inventory management spans across your entire organization in production, maintenance, procurement, and finance. When you stop and consider the scale at which these processes must take place, it’s easy to see how this type of approach might lead to information gaps. In each of these departments, employees are responsible for documenting changes to inventory, but this documentation often lacks centralization and makes use of fractured approaches on multiple business systems and spreadsheets. Multiple systems lead to siloed data and a lack of visibility across the business, causing a misrepresentation of what the organization has in-stock. These discrepancies have devastating consequences when machines fail and parts aren’t available. If a critical machine breaks and there isn’t a replacement part on hand, production is delayed until the part is available to get things moving again—and that downtime isn’t cheap. According to Aberdeen Group, unplanned downtime can cost industrial plants anywhere from $10,000 to $250,000 per hour. To avoid these downtimes and the blame that comes with them, maintenance departments often maintain a “shadow inventory,” underestimating stock as recorded by other departments. By doing this, maintenance teams can justify ordering parts when they lack the insight to know what’s really on hand. Of course, while this enables maintenance a workaround to ask for the additional spare parts they need, it does so in a way that drives up costs and causes inventory counts to stray even further from the truth. The importance of streamlining inventory is to create a single source of truth that eliminates the need for shadow inventories and the inefficient costs associated with them. With one consistent source of data, maintenance teams can trust the inventory counts as reported across the organization, and procurement and finance teams can know that the costs of new materials are justified. While it might not be the first method that comes to mind, the right enterprise asset management (EAM) solution has the potential to provide this balance. EAM systems are generally geared at helping companies do two things: reduce downtime and cut costs. Bad inventory information does the opposite, increasing both. To some, focusing on something as basic to manufacturing as asset management may seem like too narrow-minded an approach. However, when looking at the risks of downtime and significant costs associated with siloed inventory data, the importance of the inventory insight an EAM system provides becomes clear. Finding the right EAM solution to gain tighter control over inventory is key. The solution must be capable of integrating with, or sharing information across, business processes and systems. Only then is it possible to eliminate data silos and gain the cross-organizational visibility that’s needed to make sound business decisions. EAM solutions have a lot to offer now, but their significance will only grow as more businesses integrate IoT-enabled devices. An agile EAM solution will help incorporate innovative technologies like machine learning, predictive maintenance, mixed reality, and other cloud solutions as they become a standard aspect of asset optimization. 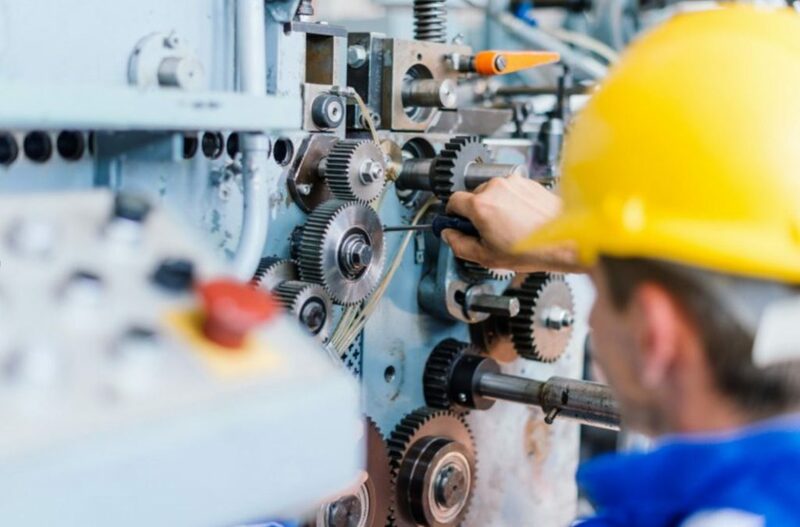 Powered by ever smarter production equipment, an EAM solution can provide deeper asset performance insights, enabling manufacturers to be more connected, more agile, and more intelligent—and a significant step closer to the Factory of the Future.